Warcraft Legends Vol. 4 is shockful of goodies with stories based on the Bloodsail Buccaneers and the Darkmoon Faire by Christie Golden. And the conclusion of the undead tauren Trag Highmountain saga by Richard A. Knaak. What happens when noble tauren arrives at Arthas the Lich King’s front door with an ancient weapon even the dragon aspects would be frightened of? With Warcraft: Legends Vol. 4 you have a little taste of swashbuckling adventures with the Bloodsail Buccaneers. Volume 4 will be available at local and online bookstores on June 16, 2009. Some of the world’s best manga creators join together to bring the world of Warcraft to life as never before! Between these covers lie tales of adventure, treachery, humor and bravery. Told from both Alliance and Horde point of view, these stories have entertained the likes of travelers, soldiers and thieves in taverns, inns and camps all throughout Azeroth. They have endured the trials of time and have earned the title of legend. 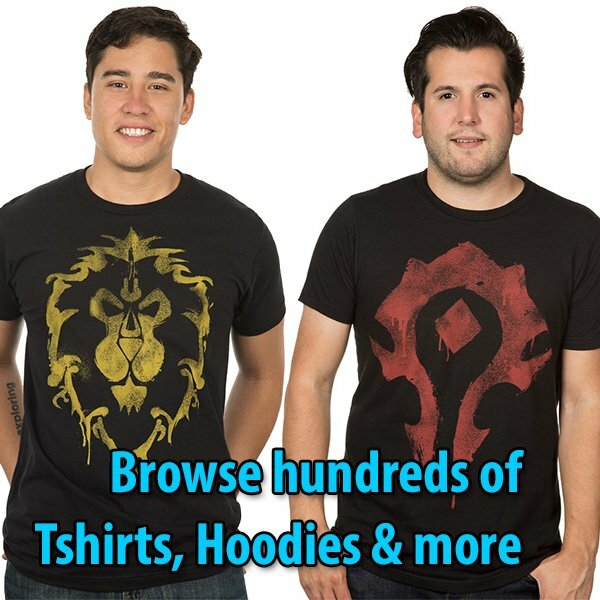 Whether this is your first journey into Azeroth, or merely the latest in a long line of visits, this collection will not soon be forgotten!